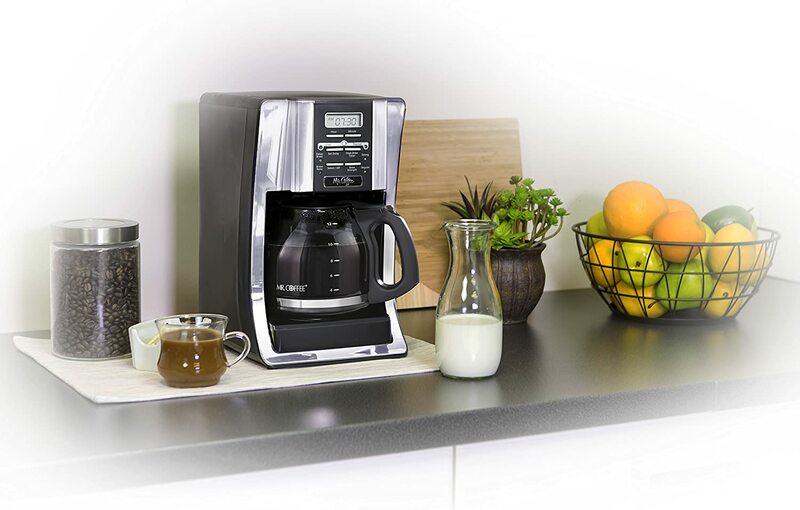 The Mr. Coffee BVMC-SJX33GT 12-Cup Programmable Coffeemaker was recognized was one of 2011′s best products. The coffee it brews tastes great and all the features we need and have come to expect are present, all of that for a very reasonable price makes this one of the best coffee makers on the market. The Mr. Coffee BVMC-SJX33GT is a simple but high performance coffee maker that will satisfy an occasional coffee drinker to a seasoned coffee fanatic. It comes an at attractive price, ideal for people who are not looking to spend too much. The Mr. Coffee BVMC-SJX33GT focuses on making rich tasting coffee at the right temperature. Coffee needs to be hot and that is one thing the Mr. Coffee BVMC-SJX33GT ensures. It brews 12 standard cups into the glass carafe although a thermal carafe can be purchased separately.The thermal carafe keeps your coffee nice and warm without using the heater plate, the Mr. Coffee BVMC-SJX33GT automatically detects which carafe you are using. Although the Mr. Coffee BVMC-SJX33GT focuses mainly on making good coffee it does have a few features that make it very convenient to use. The auto off function, for one, is great so you do not have to worry about remembering to turn it off, a good feature for those hectic mornings. It also features a brew pause function if you just cant wait and simply want a cup of coffee now. 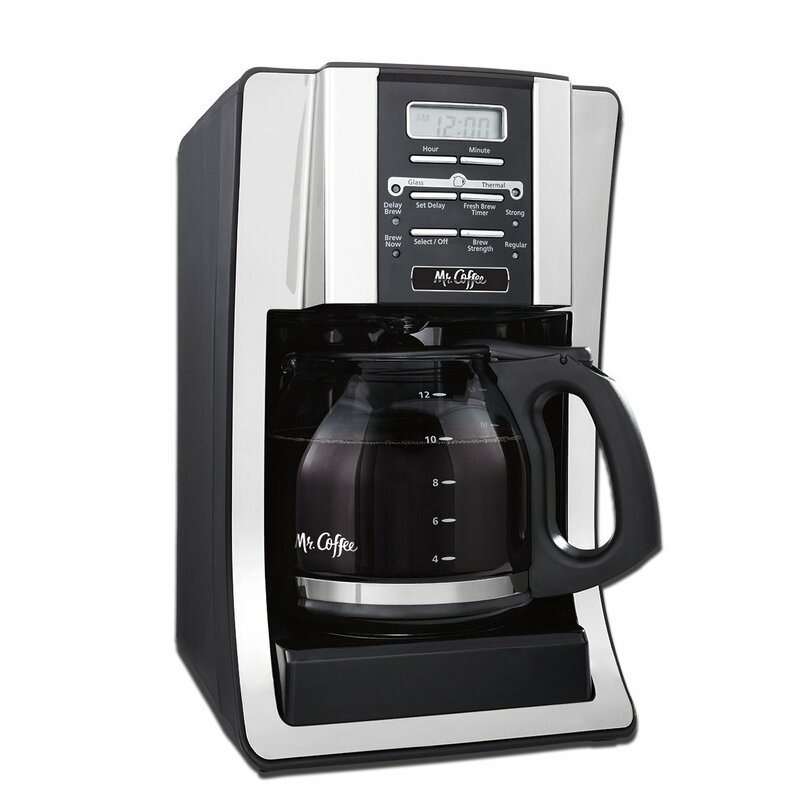 The Mr. Coffee BVMC-SJX33GT also features a brew strength adjuster so that users can customize their coffee. If you like your coffee strong to really get you going in the morning it is just a simple switch. The removable filter basket is also great when it comes to changing out the filter. It can be a frustrating task, especially if just woke up so having a filter basket like this one will pay dividends. The design of the Mr. Coffee BVMC-SJX33GT is sleek and modern which lets it fit just about anywhere in your kitchen and look good in the process. The side of the coffee maker shows the water levels in the reservoir, making it easy to fill up to the right amount. The back even features a cord holder for the power cord in order to prevent cluttering around sockets. The Mr. Coffee BVMC-SJX33GT, as mentioned above, is the ideal coffee maker if you are not looking to spend too much money. The brew tastes good and all the features you really need are present, all for a great price. Moreover, with a bit of care and maintenance the Mr. Coffee BVMC-SJX33GT will even last numerous years making it a very good value for money coffee maker.